It's a rare sight to see mum and daughter together. 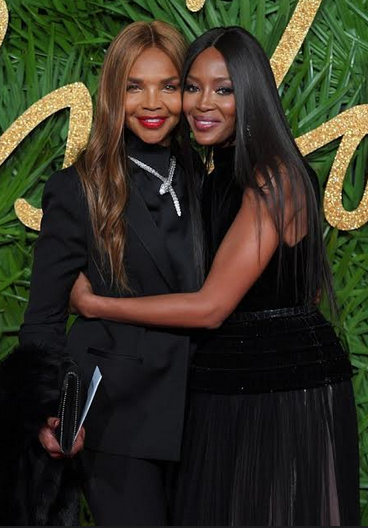 But supermodel Naomi Campbell, 47, brought her mum Valerie Morris, 66, as her date to the ever-glamorous Fashion Awards. 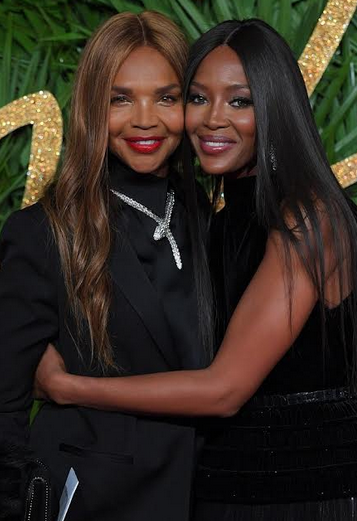 Proving the apple doesn't fall far from the tree, Naomi complemented her mother's sophisticated midnight attire with her own black ensemble. The modelling heavyweight stunned in a black velvet bodice fitted perfectly to her statuesque frame, allowing the white and black lace skirt to drop gracefully to the floor.